Coach Pat Summitt, who coached the University of Tennessee (Knoxville) women’s basketball team for 38 years until her retirement in 2012 after she announced that she had been diagnosed with early-onset Alzheimer’s Disease, was known for her fair, but ethical, disciplined, and meticulous coaching that emphasize hard work saw Coach Summitt experience unparalleled success on and off the court, but more importantly, saw the efforts of her leadership and coaching develop in her basketball players the same kind of work ethic, fairness, ethics, discipline, and meticulousness. 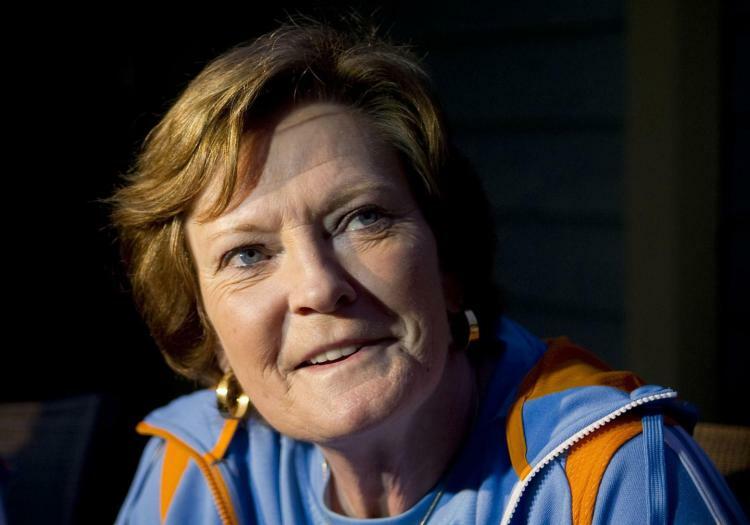 In stark contrast to many players in men’s college basketball players who typically don’t graduate from college, but instead go to the NBA in their sophomore or junior years, Coach Summitt held a 100 percent graduation rate for all of her players who completed their eligibility at the University of Tennessee. Patricia Sue Summitt began her college basketball career as a player at the University of Tennessee (Martin, TN) where she won All-American honors. In the 1976 Olympics, Summit was the co-captain of the first American women’s basketball team to participate in the Olympics. After college graduation, Summit went on to become a graduate assistant coach of the women’s basketball team just before the 1974-1975 season, where she quickly was named head coach of the Lady Volunteers when the head coach suddenly resigned. Continuing her completion of a master’s degree in physical education, Coach Summit not only coached the Lady Vols, but also co-captained the silver-medal winning 1976 Olympics American women’s basketball team in Montreal. In 1984, Coach Summit returned to the Olympics, this time as head coach of the gold-medal winning American women’s basketball team. Coach Summitt was diagnosed with early-onset dementia in 2011, but remained on at the University of Tennessee as head coach of the Lady Vols during the 2011-2012 season. However, Coach Summitt’s cognitive and neurological condition was evident in that season, as assistant coaches took the lead roles in guiding the team, while Coach Summitt was often in absentia even though she was physically sitting with the team in Thompson-Boling Arena. 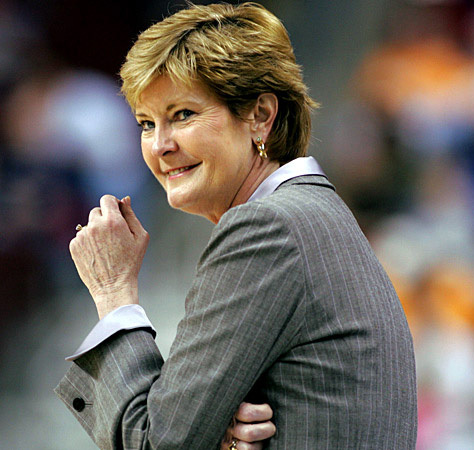 In 2012, Coach Summitt resigned from the University of Tennessee. Coach Summitt also create the Pat Summitt Foundation for Alzheimer’s Disease in 2011. For a while after her 2011 diagnosis (the family has been quite, and understandably, private about Coach Summitt’s journey through dementia), the ailing coach was able to live at home, but in March 2016, Coach Summitt’s family revealed that she was living in a retirement community. Coach Summitt died on June 28, 2016. Aged only 64 – too young… so sad. What an amazing woman — great profile! Thanks.